Uterine fibroids are benign tumours that can cause heavy menstrual bleeding, bloating, pelvic pain, and urinary problems. If you wanted to have uterine fibroids removed 30 years ago, hysterectomy would have been your only option. That meant open surgery, risk of heavy blood loss and/or infection, and a 6-8 week recovery process. Fortunately, these days minimally invasive treatment options exist that offer faster recovery times and less disruption of your daily life. Let’s quickly look at the differences between an abdominal hysterectomy and uterine fibroid embolisation. Knowing the difference might help you make a more informed choice about which treatment is right for you. An abdominal hysterectomy is a certain and permanent solution for getting rid of fibroids. This surgical procedure involves the removal of the uterus via a large incision in the abdomen that requires multiple stitches. Sometimes removal of one or both ovaries is also required. Due to the invasive nature of an abdominal hysterectomy, there may be heavy blood loss during the procedure, which can cause complications and delay healing. Without a uterus, a hysterectomy ceases a woman’s ability to become pregnant. Additionally, if the ovaries are also removed during the procedure, hysterectomy results in surgical menopause. This means that menopausal symptoms begin which may include hot flushes, insomnia, vaginal atrophy and mood changes. Uterine fibroid embolisation (UFE) is a way to treat fibroids without open surgery. UFE blocks the blood flow to fibroids, starving them of nutrients and causing them to shrink in size. UFE has a success rate of up to 93%. During the procedure, a tiny nick is made in the wrist or groin, through which a thin micro-catheter is inserted. 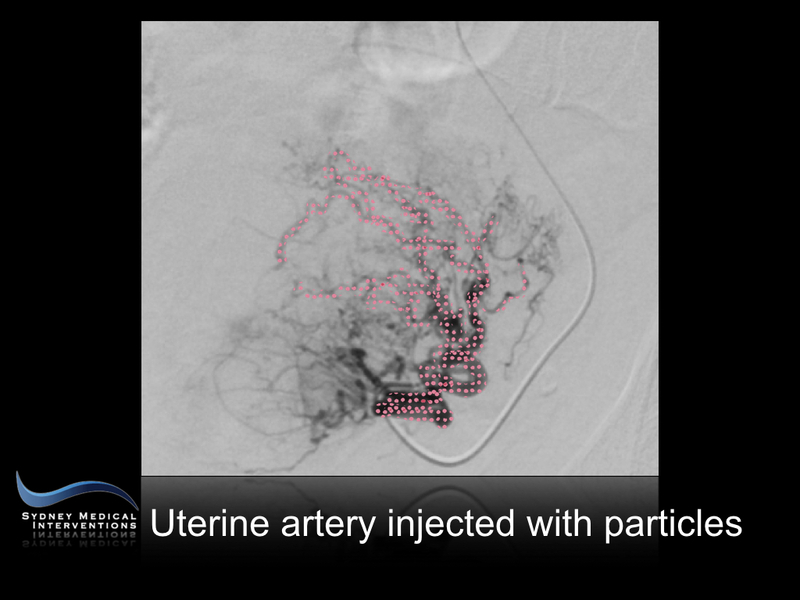 Using X-ray guidance, an interventional radiologist moves the micro-catheter to the uterine arteries, and delivers tiny particles that block the fibroid’s blood flow. 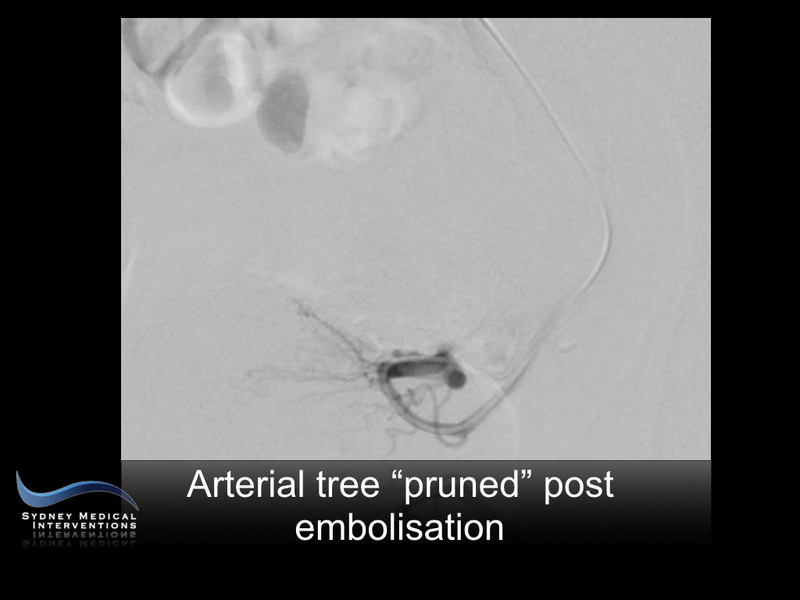 It’s performed as cath lab procedure under local anaesthetic, with no surgical wound. Due to the minimally invasive nature of the procedure, the risk of heavy blood loss and infection are avoided, and discomfort is minimal. Most patients are back to their normal activities within a week, example when Condoleezza Rice underwent her UFE procedure on a Friday she was back at the White House by the Monday. 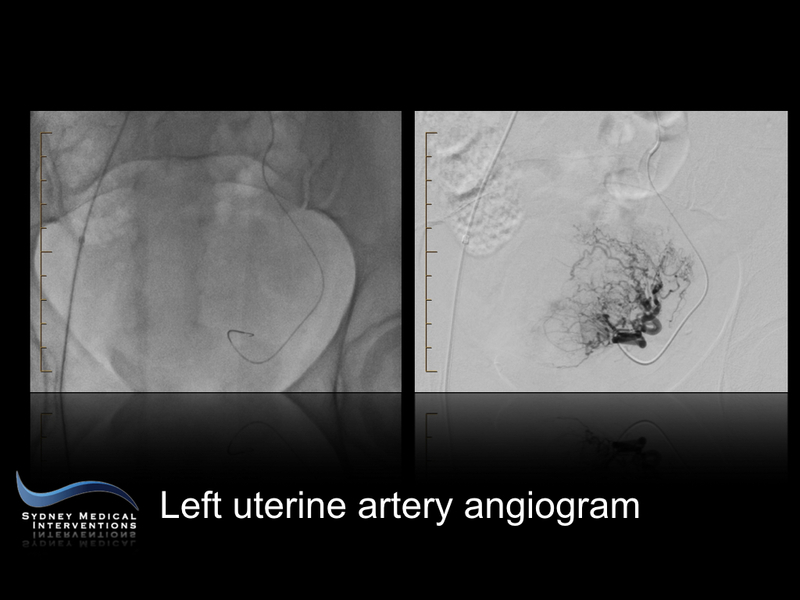 Unlike a hysterectomy, uterine fibroid embolisation leaves the uterus and ovaries intact. It is therefore a treatment that may be a preferred choice for women who haven’t yet given birth, or who want to bear more children in the future. Dr Albert Goh is an experienced interventional radiologist with in-depth knowledge of the least invasive treatments available. If you’re experiencing symptoms of uterine fibroids and are considering treatment, get in touch to discuss your options in more detail. Click here to book an appointment.